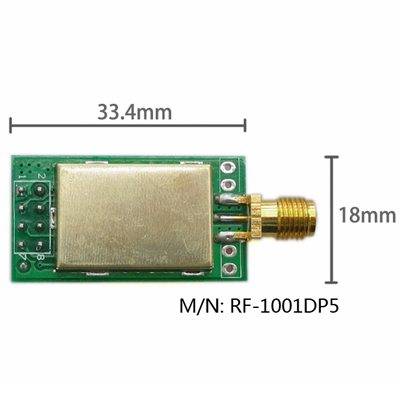 RF-1001DP5 is our latest 2.4G wireless communication module. Currently, it has a stable mass production. It is suitable for a variety of scenarios. nRF24L01P is the master chip of RF-1001DP5 module , which is imported from the Norwegian. 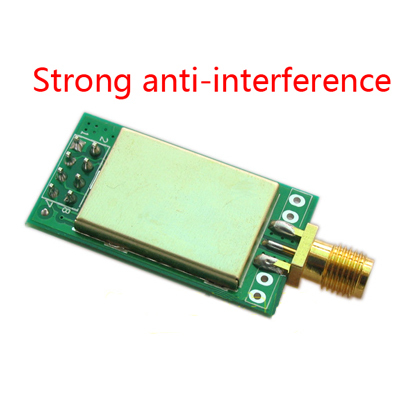 And the module is equipped with 20dBm power amplifier chip which is import from US, these enables the module to achieve the maximum transmit power 100mW (20dBm) and enhance the sensitivity to 10dBm simultaneously. 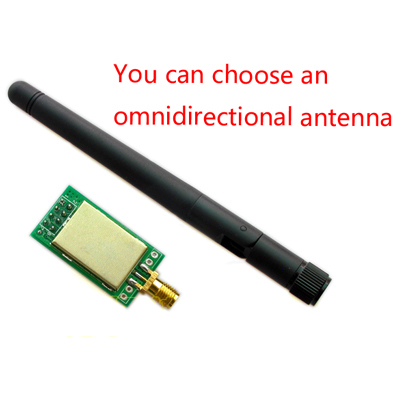 Our design make the transmission distance of the module over the nRF24L01P itself more than 10 times. 2.0-3.6V DC. Never exceeds 3.6V !